There’s an explosion of medical data all around us. But we can’t say the same about insight. Our Analytics team can help you methodically use data to drive clinical, financial and business decisions. The dashboard is accessible through the web using a secure user-name and password. We work with medical organizations and practice management companies to develop custom analytics tools that would help them extract data for various reporting purposes. The analysis is sometimes used for presentations to end-clients or senior management. Public health registries and other compliance organizations require surgery centers to submit compliance data periodically – we write software scripts that help clients avoid manual reporting. 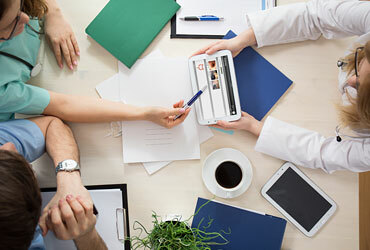 Our health IT team provides a rapid turnaround and is able to connect to most practice management systems and electronic health records. Most medical organizations have access to enormous amounts of data going back to several years. New advances in imaging, EHRs, genomics and wearable devices have created an explosion of clinical data. The challenge for the healthcare industry isn’t access to data any more – it’s our ability to utilize the data at hand. We have built tools that use underlying data to answer simple questions as: how many female patients above the age of 70 are not on blood pressure medication? Or consider a gastroenterology surgery center finding answers to how scopes have been used over the years. The answers are extremely powerful in helping providers extend themselves better to their patients with greater clinical quality. ‣ The practice successfully expanded, currently housing three physicians and three assistants. ‣ Closed 90+ insurance AR at 3% at the end of 2015 (industry average for 120+ insurance AR is 12%). ‣ Completed credentialing for all three providers. ‣ Negotiations with TPAs resulted in agreements for 90% payments. ‣ 15% increase in payments from two major insurances due to clean billing. ‣ Overall collections improved by 31% between 2014-15. We provide cloud-based practice management software and billing services. We extend our deep health IT competency to bring apps and software products to life. From operations to technology, we can help you make the right decision.